BEST Tips for Choosing a Sleeping Pad that's right for YOU! Choosing a Sleeping Pad that's right for YOU! Choosing the right sleeping pad is so important to your overall camping experience and there are so many options out there, it's essential you know the in's and outs of how to choose the right pad for YOUR needs. Closed-cell foam pad are dense foam filled pads with tiny closed air cells, they are bulkier than the others but are lightweight, inexpensive, durable and offer good insulation. Car camping - Self-inflating pad or thick air pad is best as it provides lots of cushioning but is bulkier and heavier. 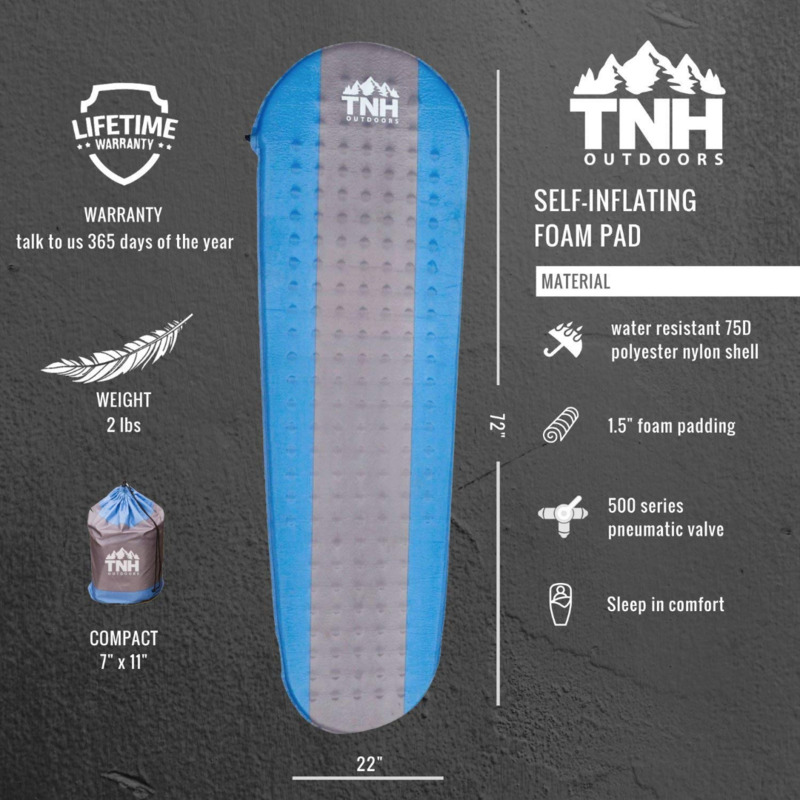 Backpacking/ Bikepacking - Airpad or lightweight self-inflating pad because it is comfotable, lightweight and packs down compactly. Minimalist Backpacking - Ultralight airpad is the best as it is lightweight and packs very small. Check the dimensions will fit well in your pack. Winter Camping - Camping on snow requires a well-insulated air pad or self-inflating pad, preferably with synthetic fiber or down insulation that offers a high R-Value (which means good insulation properties). Insulation and R-Value: A sleeping pad's R-value measures its capacity to resist (hence the "R") heat flow. Sleeping pad weight: You can save weight by choosing a mummy or tapered shape that reduces volume and packs smaller. Generally light weight pads are more expensive. Sleeping pad length and width: At a minimum, your shoulders and hips need to fit on a pad. Short or 3/4-length pad is usually 47 or 48 inches, Regular is usually 72 inches long, and a Long pad is usually 78-inches in length. The standard width of pads are usually 20 inches. Sleeping pad design: Envelope means rectangle shaped, mummy means rounded at the bottom (usually towards the feet). Baffles or air chambers are the chambers of air that make up the sleeping pad and assist with comfort. Sleeping pad inflation: Some pads have both a high-volume inflation valve and a deflation valve. This can speed air flow in or out of the pad. Pads with separate inflation chambers or a welded design which means they require less effort to inflate but still maximum support. Some have an added bonus for peace of mind if they have separated inflation chambers: If one side fails, the other will still give you some cushioning which is important especially for extended treks away from civilization. Richard who has grown up in the outdoors states ''Our new sleeping pad is an excellent multitasker"
When Richard and his team designed their ultimate sleeping pad they factored in all of these key elements. 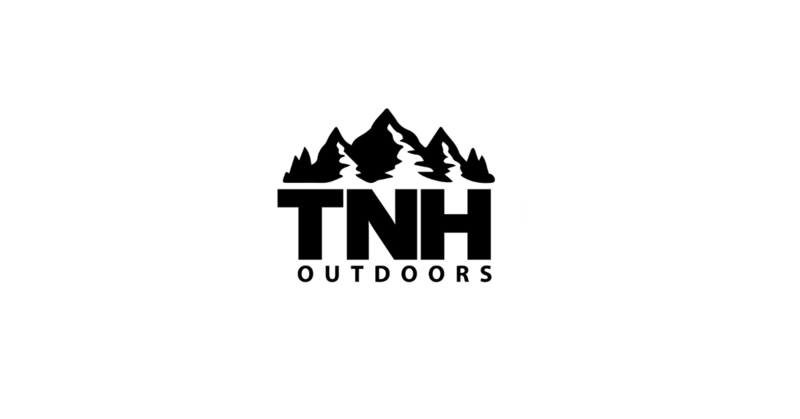 It was important to TNH Outdoors that their brand was able to deliver a quality product that is cost effective. 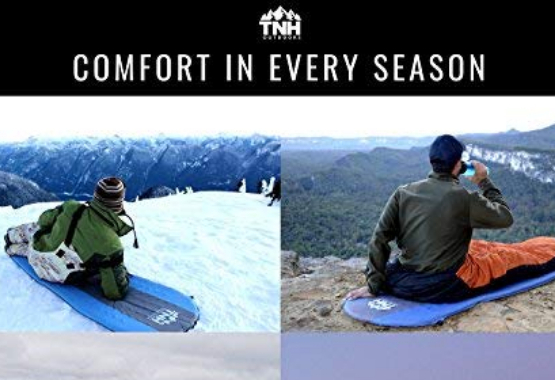 For what it’s worth, it’s not just me who thinks the TNH Outdoors Self Inflating Sleeping Pad is one of the single greatest, does-what-it-says-it-will products of all time. Turns out, 30,000 people chose this pad in the first year that is was launched - that’s huge! The products in the TNH Outdoors line all compliment each other and are reliable, quality products at affordable prices. Richard states "We have worked really hard to make sure our products are built for the outdoors, there's nothing worse then having gear you can't trust when you're away from civilization." 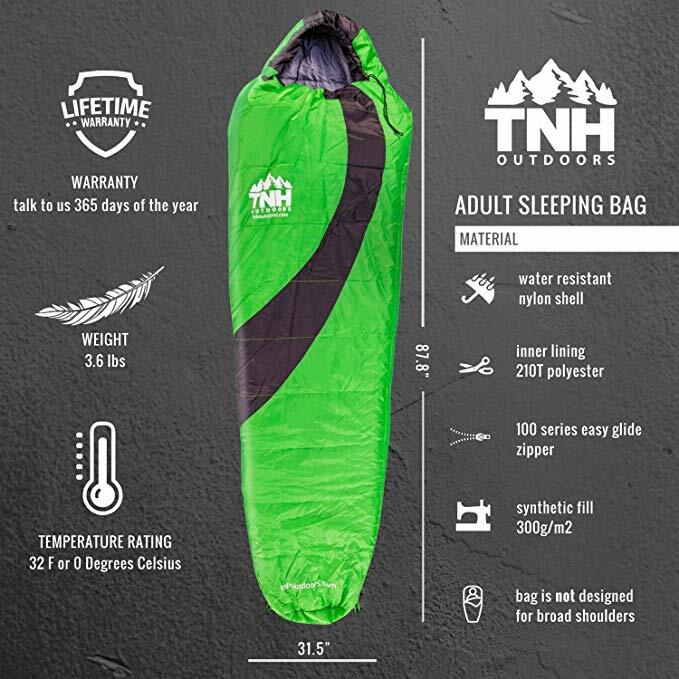 "Getting the right sleeping system when camping in the outdoors is vital to a great adventure," said Richard Greenup co-founder of TNH Outdoors and the self inflating sleeping pad. I have been camping and hiking my whole life. I grew up on a rural property and loved getting out and exploring nature and all it has to offer! I believe sleep is so important while camping, remember that you are resting to explore more. I strongly recommend buying an excellent quality sleeping pad for this reason. With a Lifetime Warranty. And the best part is if it does not work for you there's a money-back guarantee so you don't have to worry. And if you are anything like John, you will consider it money very well spent (check out the video review below). "When somebody says to you, they've had the best night sleep while camping ever, you know you are onto a winning product"
Reliability and relaxation all with a really quick setup for all your camping or Car camping experiences! Use pad10 to get 10% off. Use hammock10 to get 10% off. 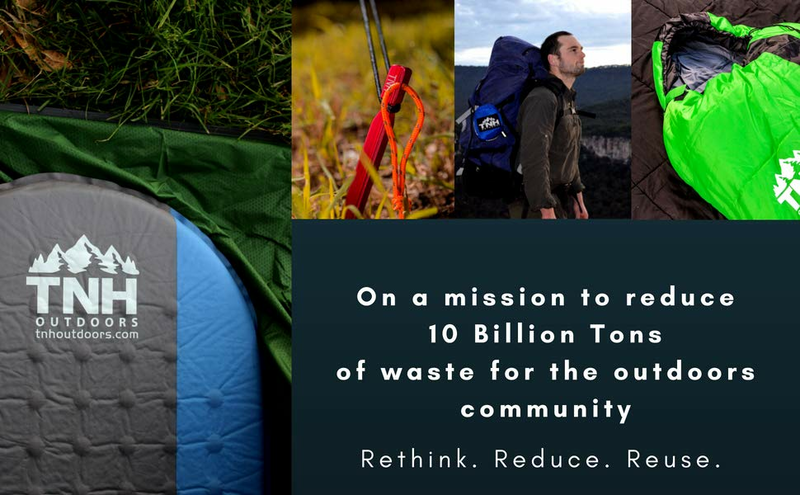 This sleeping bag was built with YOU in mind. 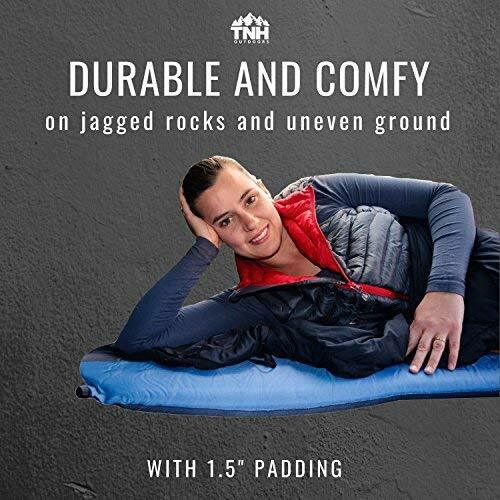 Find comfort matched with Style in this THN Outdoors Sleeping Bag. 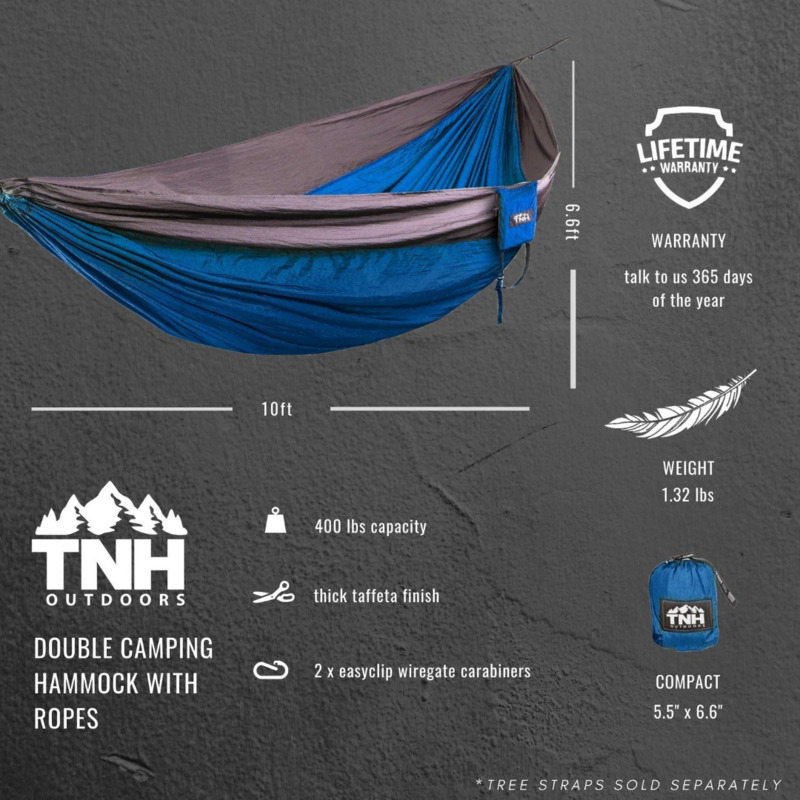 I absolutely love my TNH Outdoors Doublenest Camping Hammock! It is extremely comfortable. I have used multiple brands of hammocks including ENO and I would say this is just a good or better. I love that they send the tree straps along with the hammock so that you don't have to order another thing to go out and enjoy the outdoors. Absolutely excellent hammock. Just as good as the high dollar ones. Been using an ENO hammock for a couple years and a friend referred me to this brand; worth every penny! The straps are pretty awesome as well. Love it. Can't beat the price and seems to be just as good as camping pads I paid double or triple the price. Will definitely buy more. I received this hammock as a gift a few months ago. My wife has an Eno that works well but this hammock is bigger and longer. For a tall guy like me, the length and width are perfect. Still looks the same as the day I first opened it up. It's tough, durable and lightweight.